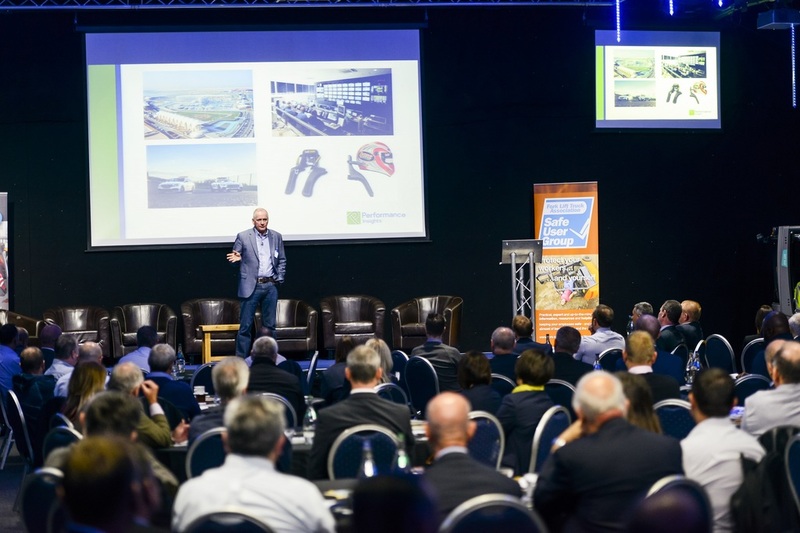 The Fork Lift Truck Association hosted its annual National Fork Lift Safety Conference on 20th September at the Heart of England Events and Conference Centre in Coventry. This year’s conference addressed the theme of ‘Managing fork lift safety in changing times’, with a wide spectrum of speakers from public and private sectors including the HSE, Aggreko, RTITB, conference sponsors Jungheinrich UK and Safety Partners Mentor FLT Training. It saw the premiere of Lisa’s Story, a hard-hitting short documentary giving an account from last year’s guest speaker Lisa Ramos who lost her leg when she was run over by a fork lift truck. The film was viewed in a highly charged atmosphere and set the tone for the day. The video, which has been designed to underline the far-reaching consequences of a fork lift truck accident on victims, their families, friends and colleagues, can be viewed via the FLTA website. The personal nature of accidents and deaths was developed by Chris Weston, Chief Executive of Aggreko PLC who emphasised the need for buy-in from the very top. Between April and September 2017, four people were killed in accidents involving lift trucks. Approximately 1000 people a year continue to be seriously injured in fork lift truck accidents and, worryingly, there is no significant evidence of improvement in recent years. Workers on foot continue to be most at risk from fork lift trucks, with the most frequent injuries the result of being struck by, against or being trapped by something collapsing. In closing, Mr White encouraged delegates to remember the factors that significantly contribute to improving fork lift truck safety, including: competence, risk assessment, plans of work, worker involvement and clear communications. 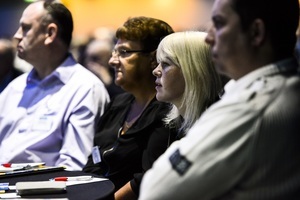 One of the most popular sections of the day was the series of real-life case histories from Rowlinson Knitwear and NHS Scotland who shared how they had improved fork lift safety on their own sites. A fitting conclusion was provided by motorsports guru Mark Gallagher who provided a packed audience with an inspirational speech on the remarkable logistical feats achieved by F1 teams and the tragic history of F1 deaths that led to transformation in safety standards within the sport..
FLTA Chief Executive Peter Harvey said: “The Conference is a key part of our work to promote fork lift safety, and with the changes happening in the logistics industry this couldn’t be a more pertinent time to address the issue. The Fork Lift Truck Association is the UK’s independent authority on fork lift trucks. For more information, click here or call 01635 277577.